A Virtual Private Network, or VPN, is becoming a common feature used by people going on the Internet to ensure that they work is protected. Any data, information or just Internet surfing is provided a secure network to work on while online. The VPN tunnels through, or around, your normal ISP and builds a protected surrounding by encrypting your work through different protocols, like the ones banks use. However, many governments are blocking social media sites and even website block people from unauthorized locations from getting membership and using its services. One site that gets blocked a lot is YouTube, because it is a avenue for many people in Internet restricted countries to communicate with people in other areas of the world. Many of these countries do not want their citizens or people traveling to their country from learning anything the government believes is unsuitable. A VPN with the right protocol, can eliminate this problem. A VPN unblocks YouTube by granting you a different IP address than the one you receive from your ISP, which can be restricted, depending on country you live in. 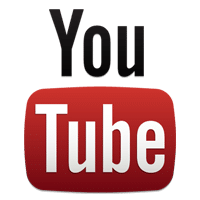 YouTube is a website that allows members to upload videos they have personallly taken, including funny videos, news videos and local events. Many of these videos are being taken with mobile devices and can be posted directly from you phone. However, if the government blocks this website in your country, then you need to get around this problem. Imagine a private road that only you get to drive on. This road is surrounded on all sides, like a tunnel and cannot be penetrated by anyone, including the government restricting software. Instead of being blocked through that local Internet line, you use a different Internet line and access the cyber world through a different server, which is protected by the VPN’s protocols. One problem you will find with VPN protocols is that not all of them can get through a government’s restricting software. For example, most VPNs use PPTP, which is compatible with every operating systems, but China can block this protocol and you will not be able to unblock YouTube. However, if you find a VPN with SSTP, which is an SSL protocol, you can easily go around the Chinese firewall, but this protocol is not always compatible with every operating system. You have to ensure that a VPN that has SSTP available can connect to your Internet equipment, whether it is a cell phone, iPad, Galaxy or iPhone, which are most of the devices used to take videos and upload them. You can take the video on your mobile equipment and send it to you computer, which will be able to connect to an SSTP VPN service and then access YouTube. You may have a problem finding a good VPN. We have done this for you. We asked our Internet experts to find and use, then grade, each VPN provider. We asked them to concentrate on unblocking YouTube, join this site and then upload, as well as watch, videos from every type of Internet equipment. We also asked them to ensure that the VPN can go around any country’s restricting software. Here is the VPNs that these experts graded the best to unblock YouTube.